The National Wood Flooring Association (NWFA) has been a long time supporter of DOMOTEX and has been instrumental in promoting and advancing the hardwood floor industry in the US, Canada and globally, so it’s no surprise to hear that they have put together a fantastic site for consumers to find professional wood flooring installers. 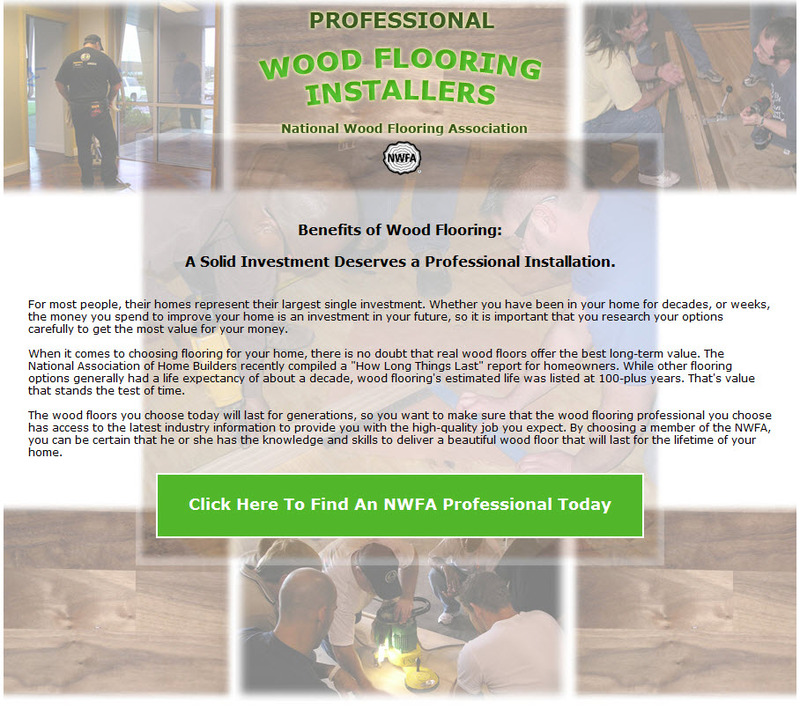 Anita Howard, Communications Director at NWFA, provides the following description of the Wood Flooring Installers website and its use. The National Wood Flooring Association has developed a new web site to help consumers find professional wood flooring installers in their area. 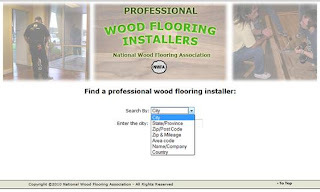 The new NWFA site, http://www.woodflooringinstallers.com/, allows consumers to search for professional installers using a variety of options. Searches can be conducted by city, state or province, zip or postal code, mileage, area code, country, or even by individual name or company name. The benefit of using this site is that consumers can be assured that the individuals and companies listed are members of a professional trade association dedicated to educating installers about proper installation techniques. NWFA installers have access to the latest industry information to provide consumers with the high-quality job they expect and deserve. Individuals or companies that are NWFA certified installers and/or sand and finishers are identified as well. These certifications are acquired after taking and passing a written exam, as well as a hands-on test administered by industry experts. The National Wood Flooring Association is a non-profit trade organization, with more than 3,400 members world-wide, dedicated to educating consumers, architects, designers, specifiers and builders in the uses and benefits of wood flooring. NWFA members receive the best in educational training, benefits, technical resources and networking, to advance their professionalism and success. The NWFA is located at 111 Chesterfield Industrial Boulevard, Chesterfield, MO 63005, and can be contacted at 800-422-4556 (USA & Canada), 636-519-9663 (local and international), or on-line at http://www.nwfa.org/. As NWFA's Wood Flooring Installers site states: "A Solid Investment Deserves a Professional Installation...The wood floors you choose today will last for generations, so you want to make sure that the wood flooring professional you choose has access to the latest industry information to provide you with the high-quality job you expect. By choosing a member of the NWFA, you can be certain that he or she has the knowledge and skills to deliver a beautiful wood floor that will last for the lifetime of your home." I encourage you to check out NWFA's new site for finding certified wood flooring installers.